From stunning white-sand beach ceremonies to elegant sky weddings (reserved only for your guests), your special day will reach a whole new level of pretty when you choose to say “I do” at any of these private venues. We’ve selected a few dreamy locales that offer undisturbed wedding ceremonies, so you can be sure the only person photobombing your big day will be your loved ones! 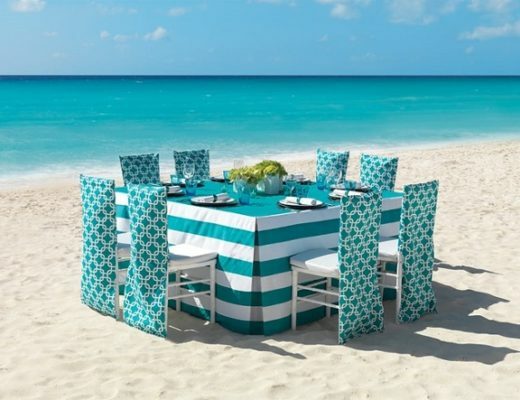 Choose from luxurious private ballrooms, sunset gardens, or terraces offering stunning panoramic views. With easily customizable (and private) wedding packages at Hard Rock Hotels All-inclusive Collection, you’re sure to have the wedding of your dreams. World-renewed wedding designer Colin Cowie features nine unique wedding packages all equally swoon-worthy. 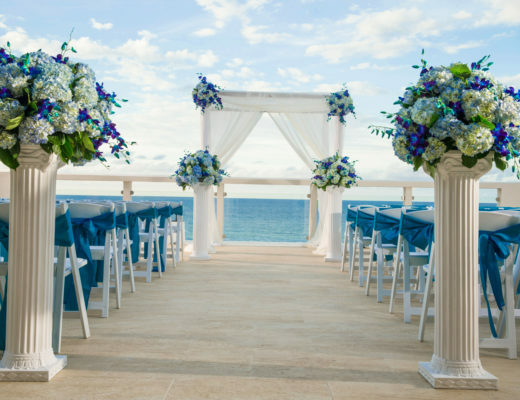 If you’re looking for a private sky wedding, the terrace at Hard Rock Hotel Cancun is sure to sweep you off your feet. 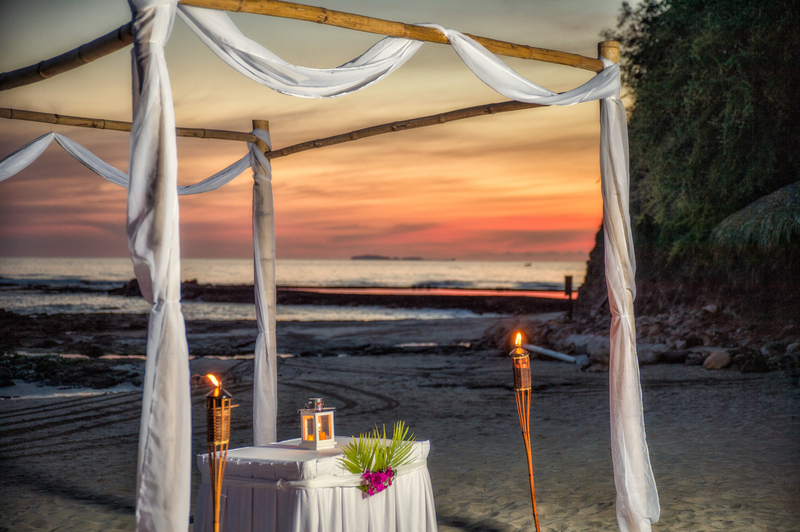 If you’re more of a gazebo kind of couple, the Sunset Garden at Hard Rock Hotel Vallarta offers personalized, private ceremonies that are extremely elegant. 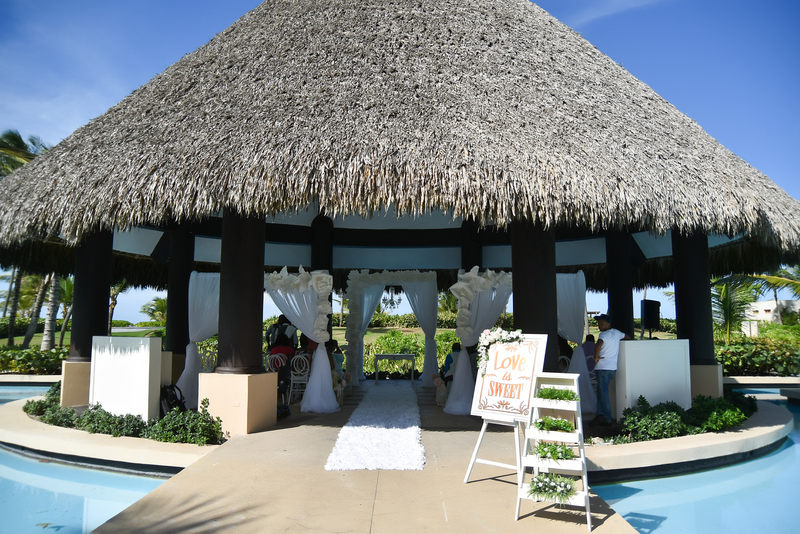 With endless options to choose from, it’s easy to say “I do” to an all-inclusive destination wedding at Hard Rock. Once you set your sights on the wildly romantic beach wedding landscapes at IBEROSTAR’s hotels, your jaw will totally be dropping. From private venue offerings in elegant restaurants, upscale ballrooms, the “Bob Marley” terrace, and of course the beach…. Sit back and take your pick! We’ll be waiting to hear all about the ultra-romantic setting and swoon-worthy décor when you get back! 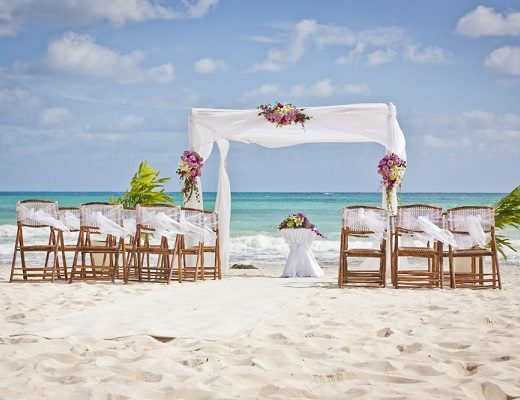 Palladium Hotels & Resorts’ sugary-sand beaches make for the most beautiful backdrop to your forever vows. Karen Bussen’s customizable wedding packages ensure you’ll find the perfect ceremony décor for your fairytale wedding. Take your pick from a private wedding reception at Blue Lagoon, featuring a gorgeous open air concept offering incredible views of Montego Bay or Restaurant Xaymaica extending an authentic Jamaican atmosphere. Choose from a variety of culinary delicacies and book a private reception your friends and family will adore! 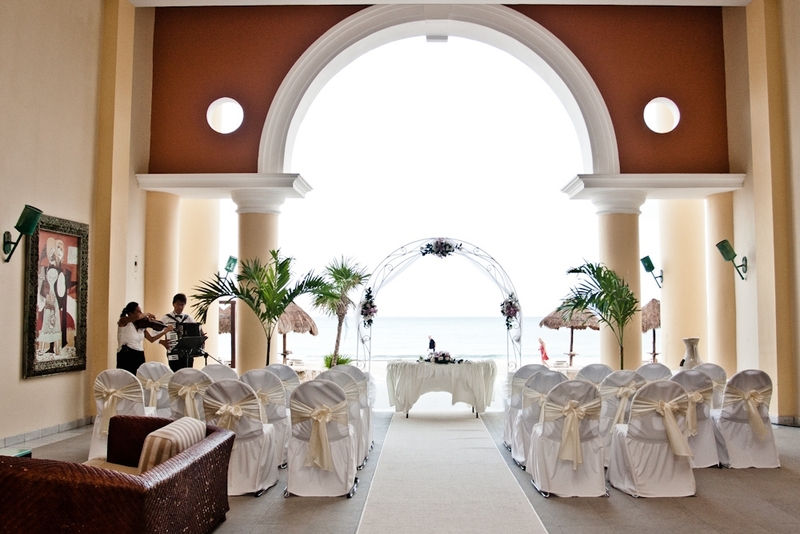 Palladium Resorts is sure to offer picturesque yet personalized ceremonies and delectable cuisine. With all the beauty and elegance you can handle, jet off to your perfect destination wedding and enjoy ultimate privacy! Be sure to check with your Certified Destination Wedding Specialist for terms and conditions that may apply.